The 19”/2 16-p Switch 8x2 ESW421 is built from the inside and out for extreme environments. The 19”/2 form factor can save up to 75% space compared to a standard 19” switch. It has aluminum casing and is made for operations down to -40 °C. The Ethernet ports also conforms to GVA Def Stan 23-09. 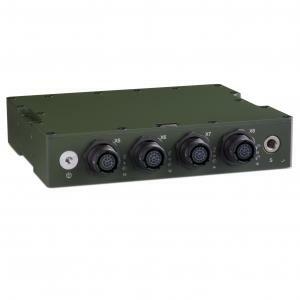 The 16-p Switch 8x2 ESW421 is built from the ground up to withstand the harshest conditions over the long haul. It has an aluminium casing, MIL connectors. On top of this toughness, we offer lifetime support to ensure your 16-p Switch 8x2 ESW421 maintains its performance for many years to come.